The Centro Plaza Libertad is a commercial building strategically located between the Petare metro station and Libertad street. It is conceived as a public pedestrian route, inviting use by Petare residents to and from their homes. 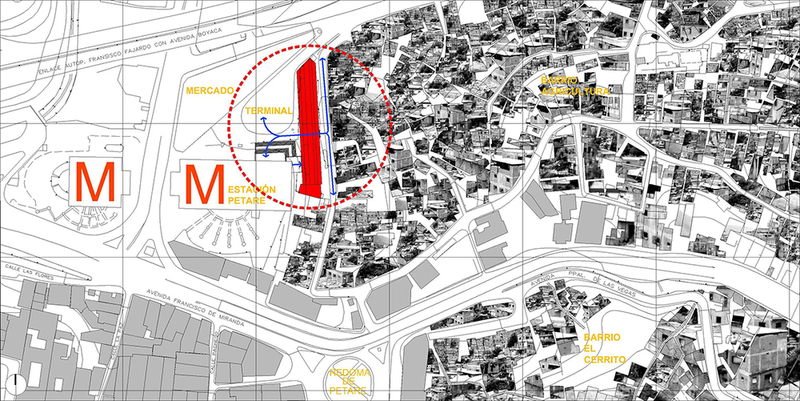 The lot, containing a complex linked by a public passageway, is located immediately northeast of the Petare Station on Line 1 of the Caracas Metro, and is flanked on the west by the combined transportation terminal for lines running west from the metro station to nearby urban developments, and on the east by Libertad street. As a result, the lot is part of the area where transfers among transportation modes—metro, automotive, and pedestrian—occur. Although the possible uses do not in themselves require unconventionally large spaces, the urban complex to which the proposed building belongs is a functional and spatial node whose size and intense usage require large-scale environments able to absorb the crowds at peak times. The integrated solution, based on the analysis of urban, commercial, and service variables, contains three clearly defined components creating a single mass. The three components are longitudinally aligned one after another from north to south. The north and south ends are meant to house uses and area programs. The third component, built on an east-west axis between the other two, is the public walkway connecting the metro station and transportation terminal to Libertad street, and includes a stairway that overcomes a 9-meter grade and divides the building into two similar but not identical bodies. As in the resolution of the lower bodies, the Libertad street level has a roofed pedestrian area that extends the existing urban space and helps meet the demand for walking areas. 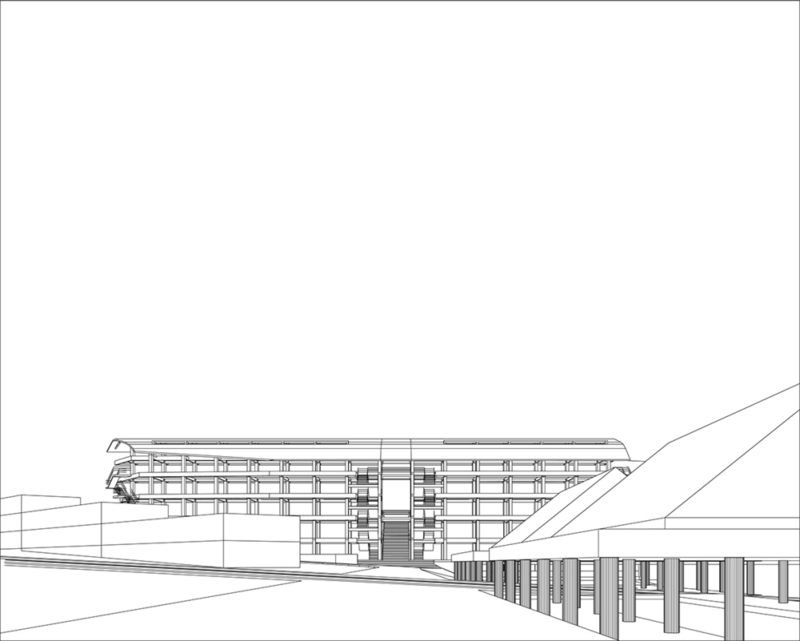 The proposed building is a valuable response to the area’s demand for commercial, professional, and public services. It is sufficiently flexible for present and future needs. It is also an important mass with a unified appearance that helps complete the two urban spaces to which it belongs, offering a major environmental and urban improvement.